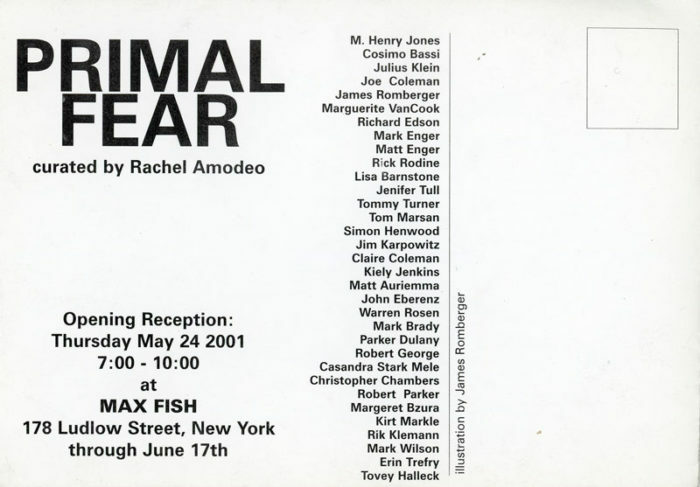 Postcard for Primal Fear, a group show curated by Rachel Amodeo at Max fish, 2001. Participating artists included James Romberger, M. Henry Jones, Marguerite VanCook and others. 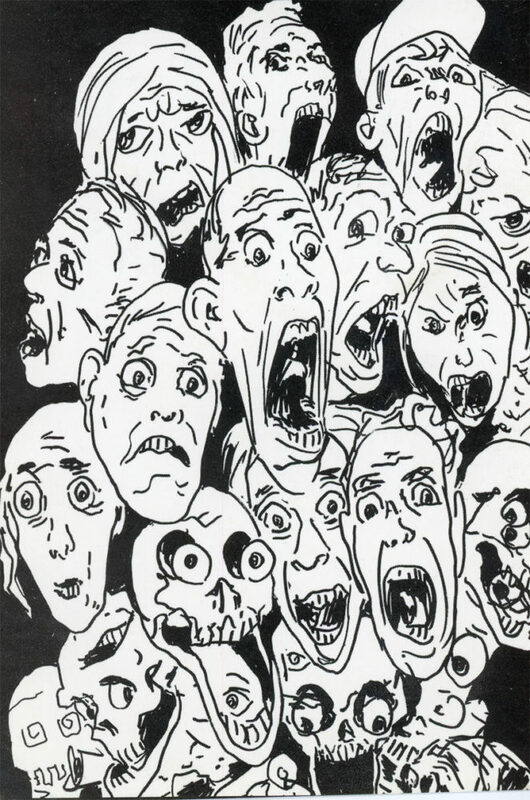 Front of card features Romberger’s illustration.